Satellite Antenna on Your Car? Toyota to Make it a Reality! Redmond based Kymeta Corp and Toyota have been working on a system that promises broadband speed connection on the go, anywhere in the world. 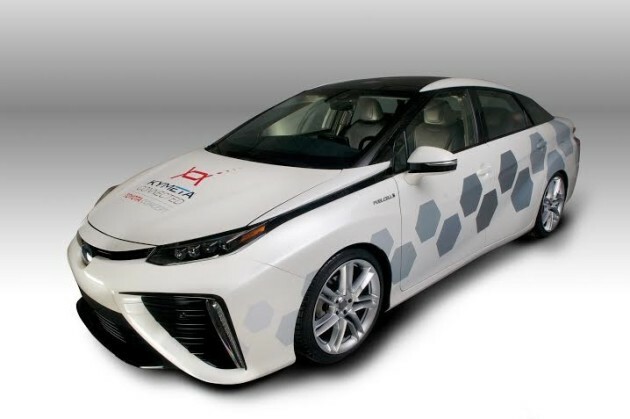 This antenna equipped, hydrogen powered Mirai fuel-cell Vehicle was unveiled this January at the North American International Auto Show in Detroit. The prototype version currently created can download satellite data at about 50 megabits per second which is better than the typical LTE wireless service. The transmission speed is expected to cross the gigabit mark in a few years. At present the satellite antenna system is being installed only on the Mirai research vehicles, not on commercially available models. But if we go by what Kymeta president and CEO Nathan Kundtz has to say, the company responsible for development of this antenna system, that status is going to change soon. Kymeta was churned out from intellectual ventures in 2012 with funding from Microsoft founder Bill Gates, Lux Capital, Liberty Global and other leading VC firms. 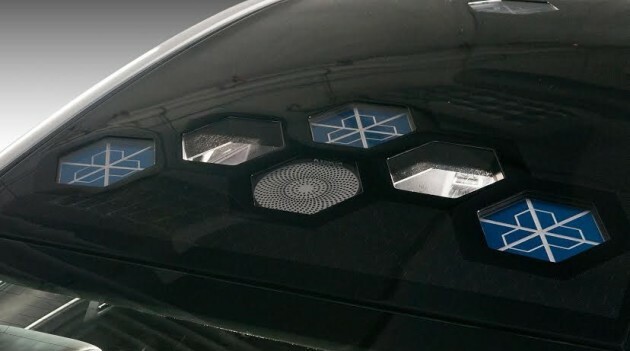 The car antennas are six inch wide, six sided panels that can be installed in the car roof as modules. The whole system requires less than 10 watts of power to run. If someone requires a much bigger bandwidth, additional modules can be installed. The antennas takes advantage of metamaterials and LCD technology to pick up satellite signals from any direction without actually pointing towards that direction. As far as the cost factor is concerned, according to Kundtz they don’t add up to the cost of the car. According to him, because of the ability to do software updates, the net cost added to a car will actually be negative. The ability to send software updates is likely to be one of the most important feat this system wants to achieve. This would further provide scope for gaining massive traction as every major automobile manufacturer now wants to digitally connect their vehicles to give a superior motor experience. This would help in update the same on the go thus further strengthening the network. According to Kundtz satellite connections to one’s car will eventually become the main channel for in-car connectivity, including the delivery of entertainment content. Currently Kymeta is targeting at delivering 1 TB of data per month or the equivalent of at least 100 HD movies. Road Safety Tips from Droom. We care for your safety! Planning a Compact SUV? Things you should keep in mind!